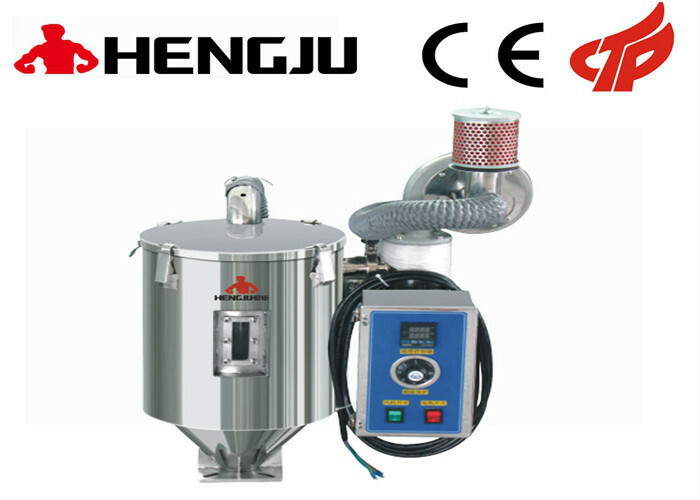 Energy-Saving Euro-Hopper Dryer (Double Layer)_Dongguan Hengju Machinery Equipment Co., Ltd.
1.European drying machines have Double thermal insulation structure,loading capacity range from 50KG to 8000KG. 2.Double layer construction of heat preservation and power saving with elegant appearance. 3.Have special design of downwards blowing and circulation ventilation that improving the drying efficiency, and assures that plastic drying temperature uniform. 4.Contacting parts on raw materials is made of stainless steel that guarantee the purity of materials. 5.Open-door extensive design, easily to clean the raw materials with good sealing. 6.P.I.D for accurate temperature controlling(Optional). 7.Double over-heat protective devices to reduce the accident happend causing by man-made or mechanical breakdown.